Rich violet-purple, almost maroon in color. Very full, tight flowers. 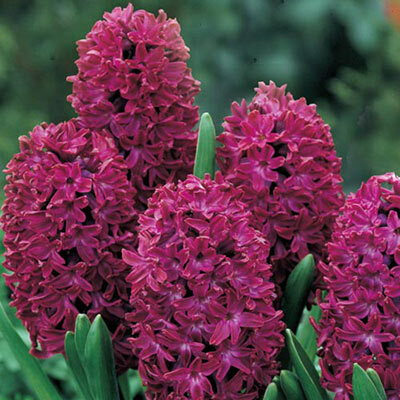 Fragrant Hyacinths colors are bright and lasting; size and fragrance are outstanding. Hyacinths can be used in many ways; in formal beds or groups, or very effectively in informal ways-scattered in the border between ground covers and perennials or in small clumps in front of evergreens. Excellent for window boxes. Item will ship this fall. Tubular, bell shaped flowers form a dense flower spike. Let foliage die down naturally. 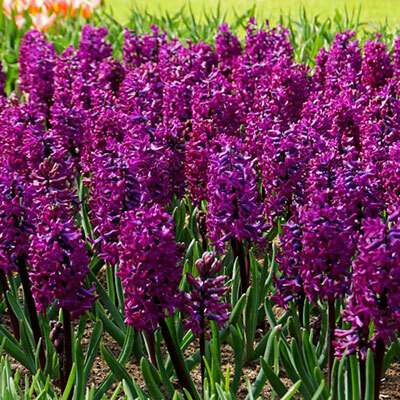 Leaves provide nourishment for bulbs to produce future growth and blooming.